Having a big brother like the CRF450R brings a whole new meaning to the term hand-me-downs. Advanced technologies introduced and developed on the 450R are quickly passed down to the CRF250R making it every bit as competitive as its larger sibling. 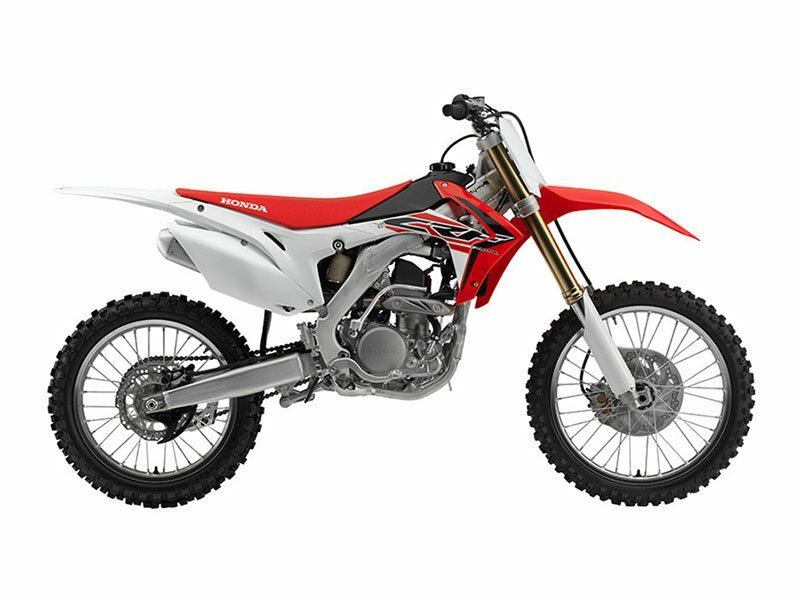 For 2015, the CRF250R gets brake upgrades with a larger front disc and a redesigned rear disk as well as some detailed changes to the fuel injection system. The big news is the introduction of two new technologies, all-new air forks designed specifically for the CRF250R by Showa bring the benefits of improved mass centralization, superior adjustability and enhanced suspension action. To make sure the engine is as advanced as the chassis, the 2015 CRF250R also gets the convenient mode selection button that allows riders to select from three different engine performance maps to suit track conditions. Add these upgrades to the already existing aluminum frame, Unicam engine and stubby twin-muffler designs and together these innovative technologies make the CRF250R one of the most agile, balanced, flickable and easy to ride machines on the track today. Rivalry has never been stronger, as this machine is sure to be your competitive edge.